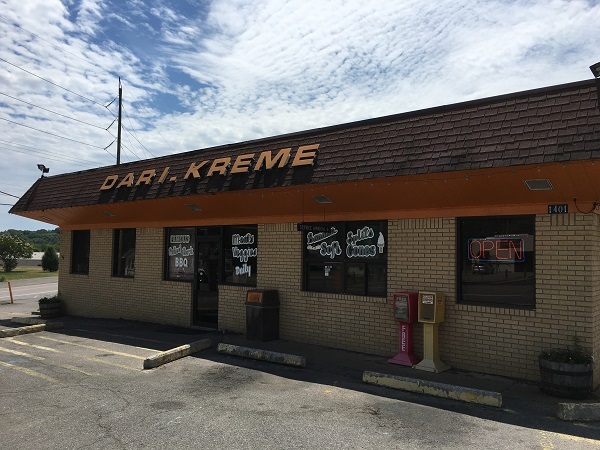 Dari-Kreme, Cleveland TN – Marie, Let's Eat! My son and I took a little trip to visit an old restaurant, but found the business closed. Just down the street, though, we found that another very old restaurant was still hanging in there. We moved just a little too late to sample the Rebel Drive-In. This popular old place had shuttered about three weeks previously. But the trip up the old US-11 had taken us past several other old restaurants that I’d noted, and so we turned around and pulled into the Dari-Kreme just a couple of blocks south, on the other side of the street, and my son instantly forgot about food in favor of a noisemaker. Like most five year-olds, my son is endlessly fascinated by old arcade games and claw machines and whatever looks like it’s going to take your coins away. Now sure, I spent most of my youth in some video arcade or other, but I’m almost certain I’ve never been around a coin-operated noise-maker as earth-shatteringly loud as the one in Dari-Kreme. I don’t know how the employees stand it. 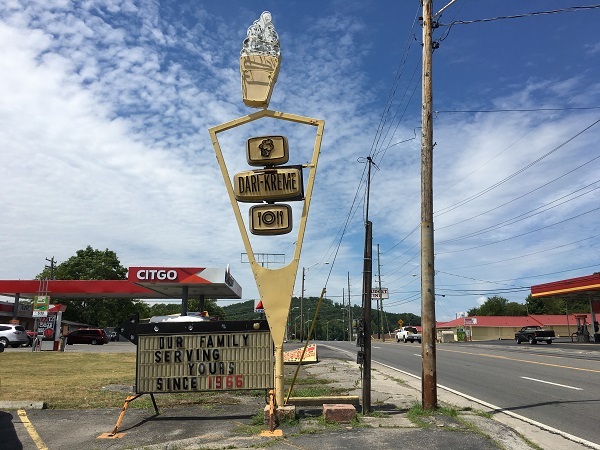 The Dari-Kreme is fifty years old this year, and they’ve been serving up the sort of pre-nationalized chain-style fast food and soft serve ice cream that we love to find at these older places. No, you’re not going to get a contender for the best burger in the world here, but you might just get a contender for the best three dollar burger in the world here. This is a very good lunch for the price. I believe that the Dari-Kreme is still in family hands, although the original owner, Sam Carden, passed away in 2014. It gets very busy during the lunch hour and on weekends. They’re most celebrated for their long list of soft-serve milkshake flavors, more than two dozen of them. My son thought he was being endlessly cute by ordering a banana split and then realizing that he didn’t actually like the look of what they gave him and abandoned it after two bites. As I’ve mentioned in these posts recently, however, he’s been reading, and I’m just so thrilled that he’s doing such a good job with it that I don’t actually use any good parent logic with this. He just reads something, in this case a poster for a banana split, and I get so happy that I buy it for him. I should probably put a stop to that before he starts looking at chainsaws or dynamite. Marie won’t be all that understanding when I drive home towing an outrigger or something. 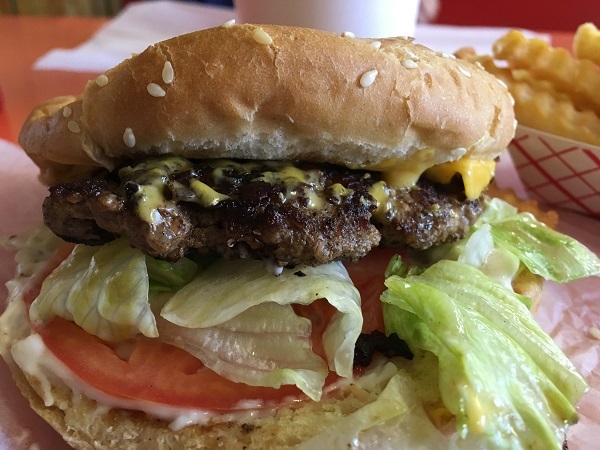 Posted on September 2, 2016 by Grant G.Posted in burgers, chattanooga, dairy bars, tennesseeTagged burgers, chattanooga, cleveland, dairy bars, tennessee. 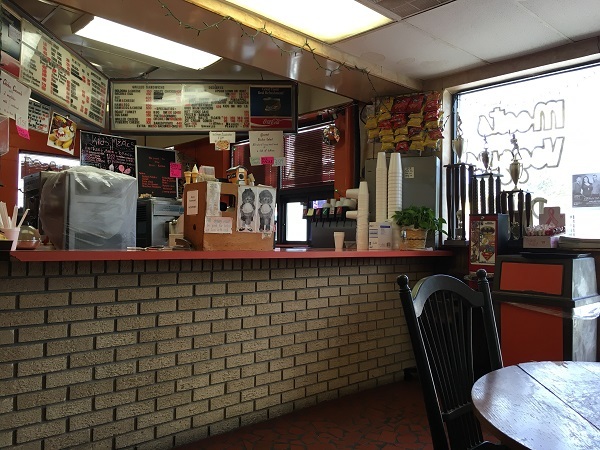 Pingback: The Spot, Cleveland TN – Marie, Let's Eat!